The Wahsington House IN, Cedarburg WI. Painted on location in the Cedarburg Pelin Air event. Original is 11x14 oil on wood panel. 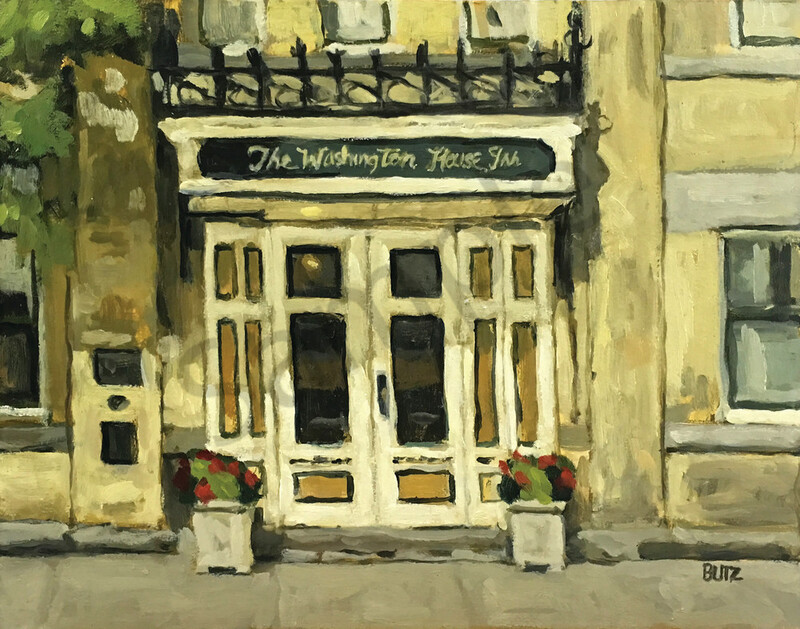 This painting was painted during the Cedarburg Plein Air event, where 150 artists paint downtown Cedarburg and the surounding area. I painted this at 8:00 am in the morning several mornings in a row, I set up my easel right accross the street. I loved the way the sun hit this already warm building and the light was just perfect at 8 am in the morning. I got up at 5:30 amd to make it to this spot for three mornings in a row. The original was purchased by a collector, but this will also make a terific print.